The dramatic Chalten Massif in southern Patagonia, Argentina, is home to some of the most iconic peaks in the world, including Cerro Fitz Roy and Cerro Torre. This ultimate alpine playground seduces climbers from every continent. The steep walls of these jagged spires range from 300 to 1500 meters tall, and from enjoyable day climbs to unrepeated horror shows. The massif also has countless classic alpine mountaineering objectives involving snow, ice-climbing and scrambling. 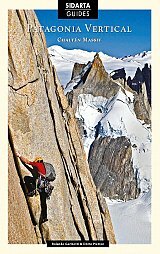 This climbing guidebook describes every peak and climb in the area. Although Chalten is not the faraway land it once was, the beauty of the peaks, the quality of the rock and the ferocity of the storms remain unchanged, offering climbers the timeless pursuit of real adventures and lasting memories.